Conviven is so much more than some classes or a set schedule – it serves the community as a comfortable, safe place that fosters new opportunities and support for those who walk in its door. I loved my time there and can honestly say I truly believe it is a needed, essential part of the community it serves. There are always multiple workshops being offered to the people of the community (besides, English classes, Conviven had dance classes, photography classes, health educational classes, etc. during my time there). This array of opportunity and creative energy that is fostered at Conviven allows volunteers to truly be creative and to offer other classes they might feel compelled to start. If someone wanted to start a new class or workshop, the opportunity was always there. The staff at Conviven and the community were always welcome to new ideas and opportunities, which is very encouraging for volunteers who are seeking to be useful in new and innovative ways. I showed up at Conviven everyday, simply ready to help where help was needed. I worked with children who were thirteen and in charge of multiple younger siblings, children who were not sure where their fathers were, children who lived in houses with over 20 people living with them, children who go to school for only 5 hours a day and are in classes with 40+ other students, children who were intelligent and hardworking but lacked the opportunities to realize their potential. But Conviven opens a possibility where this potential can be addressed, where they have the opportunity to receive real attention and care from the volunteers. As a volunteer, I was able to really connect with some of the students and talk to them about how special they were, how much I believed in them and how I truly believed they could do great things in their lives. It was amazing how well they responded to my encouragement and how they thrived from someone providing personal, sincere attention to their capabilities. There are incredible things happening at Conviven, and I know I am blessed to have taken part in its work and mission. I hope my meager words have provided encouragement to anyone who is considering working through the many volunteer programs Insight Argentina has available. If anyone would like more information on my experience with Insight Argentina, Conviven, or simply living in Buenos Aires, please feel free to contact me at jenny.r.hernandez at gmail dot com. 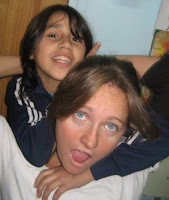 Jenny worked at Conviven through February 2007-June 2007 as an English teacher, giving lessons three days a week, three hours each day to children between the ages of 5-12. 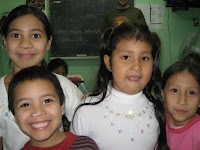 Teaching English at Centro Conviven was truly one of the most rewarding experiences I have had. The staffs of both Help Argentina and Centro Conviven are second to none and, as a result, the volunteers are rewarded by being able to witness the center strengthen and grow during their time in Mataderos. In addition, they give the volunteers genuine responsibility and the freedom to implement their own suggestions, which allows them, the volunteers, to effectively respond to the needs of the children on a daily basis. 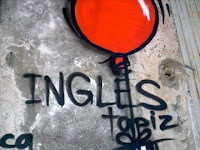 Lastly, working at the center is a great way to practice Spanish and get a glimpse of a different side of Buenos Aires. Overall, I had an unforgettable experience volunteering at Centro Conviven and honestly feel that I, personally, contributed to creating significant social change in Buenos Aires while developing lasting relationships. I started volunteering at Conviven 3 months ago and planned to come about 3 days a week. After the first few weeks I started coming 5 or 6 days a week because it is such a great experience. My castellano has improved vastly and I thank everyone who works at Conviven for being my personal tutors. Even though I didn´t really want to teach English here, now I love it and I find it helps me with my castellano language acquisition. My favorite things about Conviven are the location, buena onda, group lunches, mate charlas, and the international vibe that comes from all our great volunteers. At Conviven each volunteer is free to teach whatever class they like based on what their personal talents and interests are. Here you can build real relationships, have real learning experiences, and be part of a family. What can you do at Conviven? Centro Conviven is a place in constant development. There are different options and activities one can do while working with us. If you wish to teach English, we have a steady Teach English Programme, taking place every Monday, Wednesday and Thursday. But not only – there’s also a constant lack of private teachers who would have private language classes during other week-days. If you want to be a language teacher, but are not particularly interested in English, we could set up a class for some other language. For example in the past we have had people teaching French and German. But we are open to try out something completely different. Children who come to Conviven have difficulties with learning and understanding. Therefore you could also help them understand math. We urgently need a new teacher since the volunteer who did that left recently. We are also planning to set up a time for children who need help with homework. It is very important to encourage them to study more. 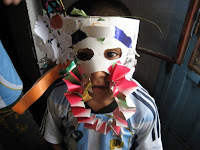 Our kids love art, but at the moment we do not have a teacher for them. We are especially interested in people who have open-minded ideas and could pass on some knowledge in painting, design, sculpture etc. Would you like to be the one to increase Conviven-kids creativity? Maybe you have a cool idea for a specific art project? If yes, we definitely need you! There are a lot of books at Centro Conviven, but at the moment they are just in random order on the shelves. We need somebody who knows how to organise those piles of books into a decent library and can coordinate other volunteers in creating a system there. In other words – we need a project manager for setting up a library. Centro Conviven has different hours when children can come and participate in recreational activities and we need more volunteers to help our staff make those hours better. Also the kids need to be taken to a swimming pool every second week and we are looking for people who would be willing to help in that field. Centro Conviven does have a homepage at the moment, but let’s face it – it is not the best, far from it. So if you would like to make us a new webpage, please contact us! The new page should be rather simple and easy to maintain so that we could keep it going also after you leave Conviven. Can you play an instrument and would be willing to share your knowledge? We have people who are interested in learning the guitar, piano, flute etc. Some adolescents hold band reherseals at Conviven and they would appreciate any help they could get. You can dance and are interested in donating your time to teach others too? Great, the kids are waiting for you! We also have circus group´s for youngsters at different ages that could use some fresh ideas and more teachers too. Conviven is working with an extremely low budget, but there are so many things that need to be done. We need to build central heating for keeping the house warm in winters, the house needs to be repaired, there are different projects running that could need better funding. If you know how to get more money for our organisation, please come and help us! Centro Conviven has a few kindergarten groups that could use some help from volunteers as well. If you are interested in working with children up to age 4 and are planning to stay with us for at least 3-4 months, that could be a good opportunity for you. Also if you would be interested in running the household of Conviven together with Carmen, we could use your help. If this list did not include activities that you would be interested in, don’t worry – Conviven is a very flexible organisation, hence if you happen to have a great idea and would like to work with us, don’t hesitate to contact! Most likely we can make it happen. Welcome on board! There are fixed English classes on three days a week - every Monday, Wednesday, Thursday from 15.15-18.00. Activities during these hours at Centro Conviven are dedicated specifically to teaching English. Other educational/artistic activities or life skills should be used, where possible, to engage the students to learn English, as well as providing them with a space to grow as individuals, but, should not be detrimental to the academic needs of the students. Children are well informed about those hours and even up to 40 children might show up. That does not mean you will have 40 kids in your class. Usually there are not more than eight children per one class and preferably every classroom has two teachers. 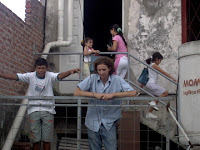 Teach English Programme is provided by InsightArgentina. If you are interested in volunteering, Conviven is a great place to come – it gives a whole different perspective of Argentina and helps you to see some of the problems this society has. Maybe you can even make a small difference. Our volunteers mostly work with children from Ciudad Oculta and even if you work with these kids for short period of time you can maybe try to help them understand how important education is, what important values in life are and that the world is slightly bigger than their own neighbourhood. You could have an opportunity to contribute so that they could have a better life in the future. Of course changing lives of these children is not the only reason you should join us. Volunteering at Conviven gives you great opportunity to meet people from different countries and cultures, make new friends and also have bit of fun. Our group is really international – lately we have had people from Australia, USA, Germany, Great Britain, Holland, Denmark, Ireland and Estonia working together. Conviven is a good place to make new friends with whom to travel through Argentina, Latin-America or why not the whole world. People have made great friends while working at Conviven, a lot of our previous volunteers still stay in touch with each other. Also there are different events happening all the time. Lately we had a huge fundraising party where everybody participated, so that we could make some money for getting a better heating system for Conviven. Since money is something Conviven lacks there will most likely be other events like that and you could be a part of them. Or maybe you have a better idea how to fundraise? Besides all that working with us is a marvellous opportunity to improve your Spanish since nobody else but other volunteers speaks English at Conviven. The children are indeed learning English, but even in classes you need to communicate with them in their native language and the staff of Conviven has no knowledge of English what so ever. So come to Conviven and be a part of our fantastic group in order help us to be a better organisation and impact children’s lives to help them to be better able to face the world. Most people who have worked at Conviven have been rather satisfied with their experience. Read what they have said about their volunteering. Find out how to become our volunteer. It is relatively easy! First you have to be willing to contribute your time and effort in order to build a stronger community. Second you need to contact us so that we can find the best solution for both you and Conviven. Some knowledge of Spanish is a bonus, but not a definite must – you will probably just pick it up during your time in Argentina. For more information please contact our on-site volunteer coordinator via e-mail: volunteersconviven@gmail.com. What kind of kids come to Conviven? 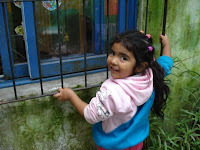 Children who regularly come to Conviven are from Ciudad Oculta, a slum that is situated very nearby Conviven. Children in that neighbourhood are afflicted by many painful and stressful factors that deprive them of emotional stability. They attend schools where they are mistreated and where they receive only a basic, minimal education. international volunteers. Our mission is to help them have a better understanding of the world and encourage them to learn more so that they could have a better future. This blog was put together to create a space that could connect the volunteers and the children at Conviven. Through this blog, we can establish a link to Conviven for foreign volunteers-- in their time before arriving in Argentina, at Conviven, and after their departure. This blog can keep you up to date on what is going at Conviven and with its community members. 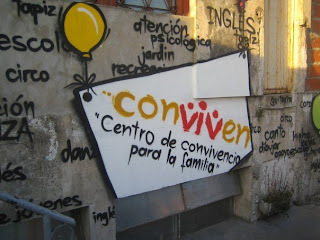 Conviven is an NGO oriented to promote and favour social and community development for children, teenagers, young people, and families living in one of the most impoverished neighbourhoods of Buenos Aires – nicknamed Villas Miserias (Miserable Slums). We are talking about Ciudad Oculta (The Hidden City) at the border of Mataderos and Villa Lugano, where around 10,000 people live in marginality, and below the poverty line. Conviven was founded in 1994 by Valmir S. Vieira, a Protestant Church missionary who, today, continues to devote his time to running Conviven. In 1998 Conviven moved to its present location on the edge of Villa 15. Among the many problems created by the national socio-economic crisis, in a country where every day 55 children die during the lactation phase as a result of poverty, there has been a high growth in social marginality in the past years. This growth affects all generations, and in particular, children, adolescents and young people that come from under-resourced homes lacking basic neccessities. This situation stems from lost familial expectations and hope, with limited clean living space during youth and adolescence. As a result, there has been an increase of certain problems such as educational desertion, delinquency, juvenile prostitution, drug addiction and alcoholism. Through Conviven, we instrument multiple prevention programs oriented towards infants, children and adolescents. Conviven targets populations from the Barrio General Belgrano, Villa 15, Ciudad Oculta, and Lugano, one of the neighborhoods labeled as a Priority Action neighborhood. Our challenge is to create a recreational, formative, andeducational space, that can give possibility to children, youth and adolescents of both sexes. We hope to re-enforce their education, or re-insert them into the educational system, provide athletic, social and cultural activities.